At Wanna Be A Champion Golf & Fitness Academy, we are focused on providing coaching and well-being services with the highest levels of customer satisfaction – we will do everything we can to meet your expectations. With a variety of offerings to choose from, we’re sure you’ll be happy working with us. 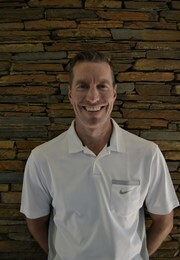 Doug Wood – co-founder of Wanna Be A Champion, based at the Serenge Golf Club. Doug played 10 years on tour, before turning to coaching. He was driven to teach when people could not provide the answers he sought. Doug has analysed and studied every method of teaching, not believing that any of them are wrong but that there is a movement pattern for each individual golfer. He has taught all levels of golf for the last 10 years, his primary function is elite level teaching. Doug is passionate about golf and teaching and his sole goal is creating champions. Doug is a AAA teaching professional. 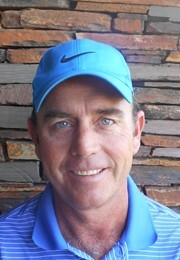 Garth Milne – co-founder of Wanna Be A Champion and is based at the Serengeti Golf Club. He developed the Kinetic Golf Fitness System that is applied at golf academies all over South Africa. Garth has worked with numerous professional golfers who have won tournaments all over the world. Garth also lectures at and assesses the sport science module of the PGA of South Africa’s accreditation program. He presents seminars to PGA professionals across the country as part of the CPD Program. Garth holds a BSC with Honours in Human Kinetics and Ergonomics. 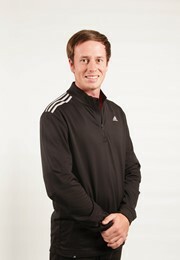 He is also qualified as a CHEK Golf Biomechanic, NASM Performance Enhancement Specialist and is also TPI certified. 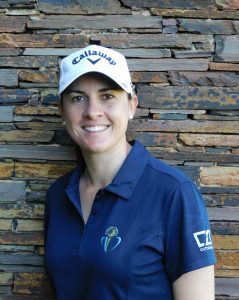 Suzette Venter – brought up on the most beautiful golf courses in sunny South Africa. Her passion and love for the game of golf allowed her to defend the South African flag several times. 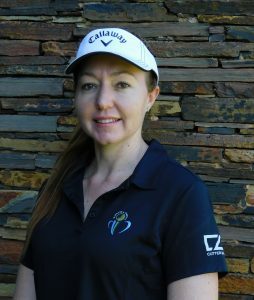 Suzette loves to share her passion for golf with others and she graduated as a European PGA teaching golf professional in March 2010 in the Netherlands. Suzette heads up our Surreal Ladies Golf Program and is one of the most sought after coaches at our academy. Nardus Broodryk – Our Head Teaching Professional at Woodhill Golf Estate, worked for Wanna Be A Champion Golf Academy for 5 years while he completed his PGA Diploma. He was mentored under Doug Wood so he has a good understanding of Wanna Be A Champion’s holistic method of learning the game of golf. He has a passion for helping players reach their full potential, not only for professionals but juniors, ladies and under privileged player too. 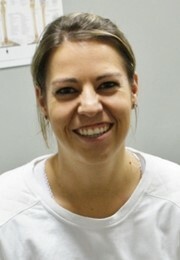 Gina Switala – is our physiotherapist and joined the academy in January 2014. She is also a passionate golfer and received her South African Woman’s colours before commencing studying at the University of Pretoria. She received her Bachelor’s degree in Physiotherapy in 2012. She focuses, not only, on resolving injuries but also in injury prevention. Tanya Kearney – biokineticist at Wanna Be A Champion, Tanya has her B.Sc (Honn) Biokinetics (human movement sciences & physiology) from North West University (NWU), Potchefstroom. Tanya has extensive experience in post-operative & sports specific rehabilitation on school, provincial, national & international level. She has an absolute passion for sport and people and affecting lives by improving an individual’s quality of life and helping them achieving their goals to the best of their abilities.